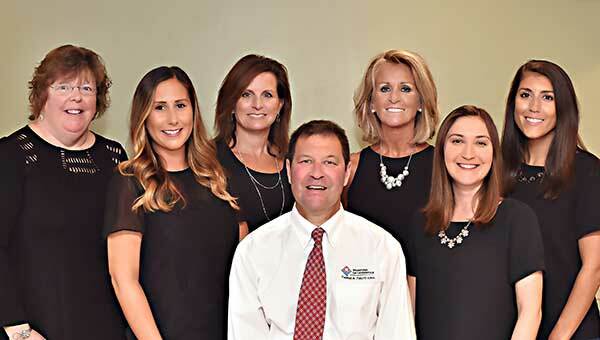 Orthodontist Dr. Thomas Ferlito and his team work together to create a positive experience for our patients and their families throughout the entire orthodontic process. 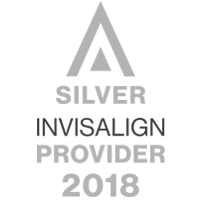 Our practice utilizes the most advanced diagnostic and treatment options available today with traditional braces, clear ceramic braces, Invisalign, and Invisalign Teen, the “braceless” alternative for straight teeth. Orthodontic records are 100% digital providing crystal clear scans, with little to no radiation. Our new Kodak/Carestream cloud-based computer system allows for treatment conferences with vivid displays of patient photos and radiographs. The Itero 3D scanner allows us to take digital models with the pass of a wand. Dental impressions and gagging are NO longer required for Invisalign and retainer patients. The hallmark of Bradford Orthodontics is superior customer service which begins with our “on time-all the time” appointment scheduling. Patients are often seated immediately upon entering the office or within 5 minutes. During non-office hours, all phone calls are forwarded to Dr. Ferlito’s cell phone as he wants to be aware of any patients who require his attention. Our office philosophy is simple: We treat each patient seated in the dental chair like we would our own son or daughter. We offer many different Financing options and do our best to make orthodontic treatment affordable for everyone. Bradford Orthodontics is a fun place. Apple Ipads are provided chairside allowing patients and parents the opportunity to check their E-mail, Facebook or just play games. Frequent contests are offered with recent prizes including Apple iPads and Apple watches. When you’re ready to take the next step toward orthodontic treatment, please contact Bradford Orthodontics at 978-521-6262 for your FREE orthodontic evaluation. We will show you first hand why Bradford Orthodontics is your best choice for orthodontic care in Haverhill, Bradford, North Andover, Groveland and the Merrimack Valley for you and your family. Bradford Orthodontics gave me a new smile and improved my dental hygiene and these results will last a lifetime. Dr. Tom Ferlito and his amazing staff treat you like family. My experience at Bradford Orthodontics has been very pleasant especially dealing with adult braces. The doctor and his staff are professional and make you feel right at home. Dr. Ferlito is the best orthodontist in the Boston area. I am a patient of his along with my daughter, Alex and we are both very happy. The staff is so friendly and professional. It is the best place to get your teeth straight and perfect. We have been patients of Dr. Ferlito for the past 3 years and we love the entire staff. They are all professional and caring with no issue ever being a hassle – They are top notch. Dr. Ferlito is an outstanding orthodontist. Both of my sons are his patients and he has done a wonderful job for both of them. The office staff is very friendly and professional. We actually look forward to our appointments! Dr. Ferlito and his dedicated staff are professional, knowledgeable and courteous with office visits prompt and efficient. They always have their patient’s best interests at heart. My family including myself and my 3 daughters have beautiful smiles thanks to Dr. Ferlito. I cannot begin to tell you the magic that he performed in my life! I am excited to have straight teeth for the first time and after only one month of having the braces gone, I got married! I never knew what a difference straight teeth could make.